BECOME A MEMBER AND COLLABORATE WITH A SOLIDARITY, VOLUNTEER AND ALTRUISTA CAUSE. The membership fee is € 36 per year and entails, among other advantages, personal insurance in case of accidents, including those that may require legal assistance, and discounts at specialized stores. But it seems important to note that, beyond these personal advantages, we consider that by becoming partners you are collaborating to the growth and good development of the APB. The contributions of the partners allow us, for example, to buy material to teach classes, to ensure as far as we can the proper functioning of the routes and to improve our current offer of leisure and training more and more. 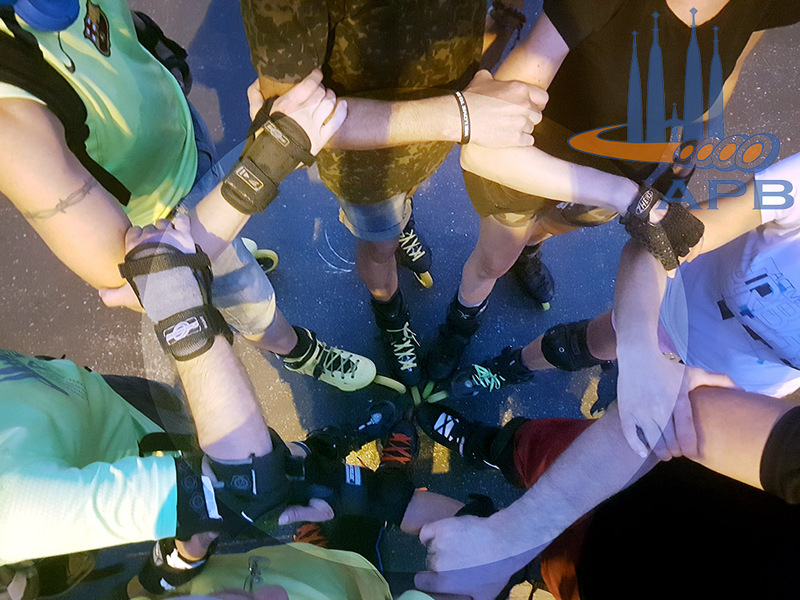 In addition, the greater the number of associates, the more visible we become towards the institutions, and the more weight we will have when obtaining official authorizations to continue promoting the sport of skating in Barcelona. It is a completely voluntary step and we can understand that you do not consider it necessary to become a member, given that we offer you a lot of free activities, but each one of you counts a lot, and the more we are, the more we can do. Currently, to become a member, you can come to pick up the form in Tuesday's classes at the table, where we have it in paper version, or download the form from this section of the web page. Once filled out, the form can be delivered directly on Tuesday night in person or you can send it again by mail to: secretaria@patinarbcn.org. For payment, it can be done in two ways, or by direct debit of the payment, indicating your bank account number in the membership registration form or by transfer to the account number that we provide to you under the same form.